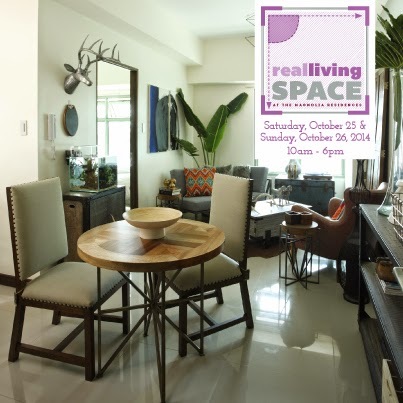 Set against the cosmopolitan backdrop of New Manila in Quezon City and presented by Robinsons Residences and HardieFlex by JamesHardie, “Real Living Space” showcases the impressive work of nine (9) designers who will style six spaces of The Magnolia Residences, including five one-bedroom condos. To give consumers an opportunity to draw inspiration and shop for their own homes, the exhibition will be open to the public from October 25 to 26, 2014. 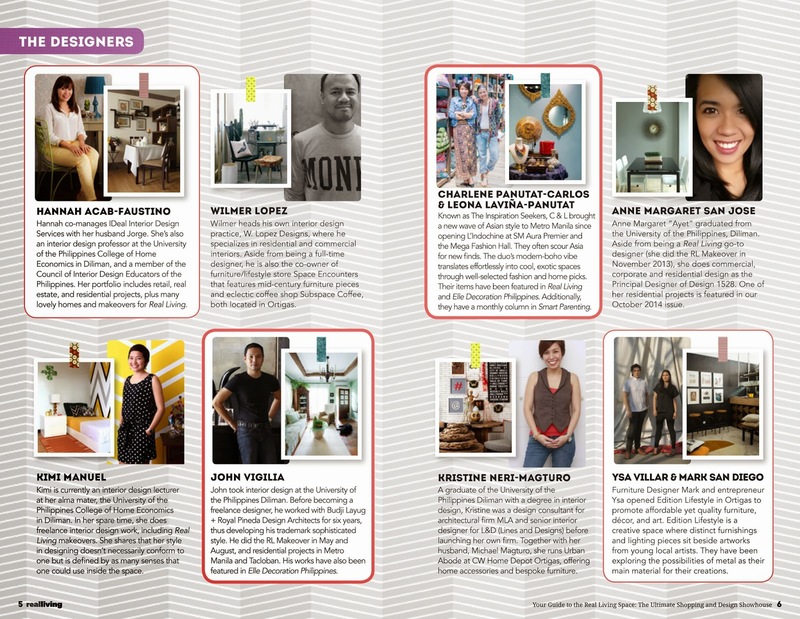 Interior designers Wilmer Lopez, Kristine Neri-Magturo, Hannah Acab-Faustino, John Vigilia, Kimi Manuel and Ayet San Jose, as well as stylists Charlene Carlos and Leona Panutat of L’Indochine, and Mark San Diego and Ysa Villar of Edition Lifestyle, will work their magic in the various rooms that make up the six spaces with one goal in mind: to create a cohesive real living space that will inspire the weekend’s design-savvy event attendees. Guests will even have an opportunity to purchase many of the featured products at exclusive discounts from their participating vendors. These products will come from leading furniture and home accessories providers, including ARQ Soft Furnishings, Cave, DecoLiving Manila, Dimensione, Edition Lifestyle, Howards’ Storage World, Inigo Elizalde Rugs, L’Indochine, Lucina, Mandaue Foam, Robinsons Department Store, Rustan’s Home, Sifra Interiors & Objects, Soumak, Space Encounters, Tempur, and Urban Abode. At the venue, there will be a mini trade show area featuring home improvement products and residential and financial services from Hardieflex, BPI Family Bank, Nippon Paint and Robinsons Residences, among others, as well as a mini-bookstore where visitors can buy Real Living magazines, books, and promotional items. 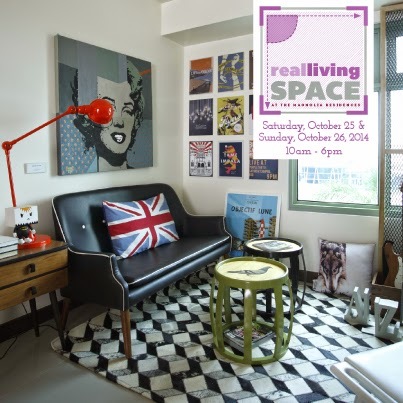 The Real Living Space was launched last year to celebrate Real Living’s tenth year and showcase the re-design of the magazine. And this year’s Real Living Space, which will be bigger and better than last year, you’ll get to witness what makes Real Living so unique—beautiful, practical spaces in diverse design styles, all the home products you’ll need, from curtains and furniture to flooring, enlightening DIY and crafting workshops, plus a chance to meet industry experts and your favorite RL editors and interior design contributors,” says Real Living Editor In Chief Rachelle Medina. Visitors will also have access to free home-related projects, crafting, and DIY workshops at the event venue. Real Living will have available its new books, REAL HOME IDEAS 8: THE COLOR BOOK 2 and the REAL LIVING MY FIRST HOME BOOK, the magazine’s first-ever guide to buying and decorating your own home. Real Living Space is also sponsored by Kuysen Enterprises, Whirlpool, Ace Hardware, Fujidenzo, ADA Aqua Design Amano, ELBA, BPI Family Bank, Nippon Paint, Hafele, AllHome, La Germania and Carrier. 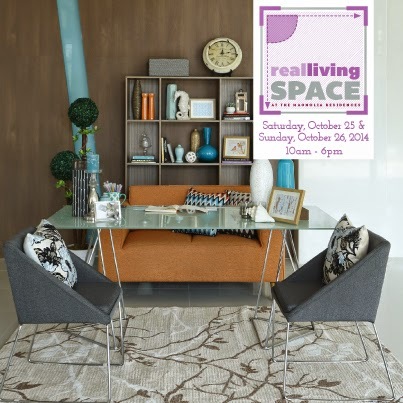 Details and updates about “Real Living Space” can be found at www.realliving.com.ph/rlspace.